A key ally of Jeremy Corbyn has ruled himself out of the contest to replace Kezia Dugdale as leader of Scottish Labour. Neil Findlay had been one of the early bookmakers’ favourites to succeed Ms Dugdale, who quit the role on Tuesday evening. But the Lothians MSP has confirmed that he will not put his name forward. 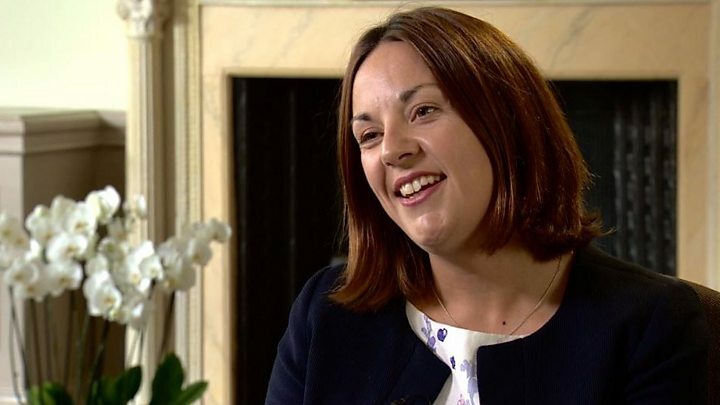 Ms Dugdale said the party needed a leader with “fresh energy, drive and a new mandate”. She said she wanted to “hand on the baton” to someone else now, so they would have plenty of time to prepare for the next Holyrood election in 2021. And she strongly denied suggestions that she had quit now in order to avoid being pushed out by supporters of Mr Corbyn, many of whom still resent Ms Dugdale’s backing for Owen Smith when he challenged Mr Corbyn for the Labour leadership last year. Who could replace Kezia Dugdale? Scotland is said to have been the only part of the UK where Mr Smith received more votes than Mr Corbyn in the contest. But Mr Corbyn’s supporters credit him for the party’s performance in June’s general election – when it won seven seats in Scotland after losing all but one in 2015 – rather than the more centrist Ms Dugdale. Mr Findlay is widely seen as being Mr Corbyn’s closest ally in Scotland, with the Labour leader writing the foreword for Mr Findlay’s new book, Socialism and Hope. He stood for the leadership of Scottish Labour after the independence referendum in 2014, but lost out to Jim Murphy despite winning widespread trade union support. Mr Findlay has since insisted that he would never again seek a leadership role within the party, although there had been speculation he might change his mind once Ms Dugdale stood down. But in his statement, Mr Findlay confirmed that he would not be putting his name forward, and wished Ms Dugdale and whoever succeeds her “the very best for the future”. Mr Findlay is the first of the potential candidates to rule himself out – with no-one so far saying they will stand in the contest. 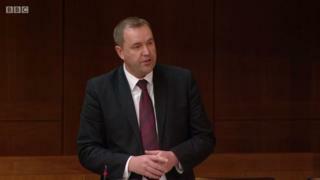 Alex Rowley, who had been Ms Dugdale’s deputy and is seen as being on the left of the party, has been confirmed as the interim leader of Scottish Labour but would need to stand down if he was to seek the role on a permanent basis. Several supporters of Mr Corbyn within the Scottish party have been privately pushing economy spokesman Richard Leonard as a potential candidate. Mr Leonard was only elected to Holyrood last year, but has been a strong voice within Scottish Labour for some time and was a key figure in drawing up its industrial strategy for Scotland. Other potential candidates include former deputy leader Anas Sarwar, as well as the party’s business manager at Holyrood, James Kelly, and former interim leader Jackie Baillie, who are all seen as being more centrist than Mr Rowley and Mr Leonard. Under her leadership, Labour finished third behind the SNP and Scottish Conservatives in last year’s Scottish Parliament election – but went on to win seven seats in the snap general election in June. Mr Corbyn thanked Ms Dugdale for “the important role she has played in rebuilding the party in Scotland”. “Kezia became Scottish leader at one of the most difficult times in the history of the Scottish Labour Party, and the party’s revival is now fully under way, with six new MPs and many more to come,” he said.